Online spending in the U.S. hit new highs on Black Friday and Cyber Monday this year. Black Friday reached $6.2B, up 24% from 2017, while Cyber Monday broke the U.S. record for online sales with $7.9B, 20% above last year. TSG utilized its Gateway Enterprise Metrics (GEM) platform to help subscribing gateways/networks understand transaction performance and identify trends. 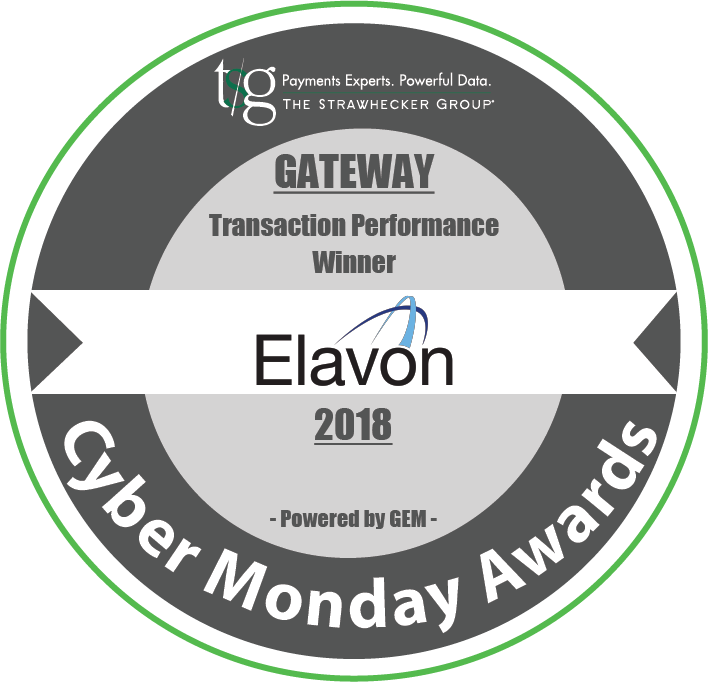 Using transaction data from payment gateways that represent two-thirds of the U.S. eCommerce market, TSG is pleased to announce Elavon as the winner for its“Cyber Monday Gateway Award”! On average, Elavon’s gateway, Fusebox, saw the fastest transaction speeds at 1.07 seconds when compared against other subscribing gateways, from Black Friday to Cyber Monday. TSG evaluates and delivers an assessment of API set, Dev Tools, sandbox and emulator by conducting an integration into the gateway via an eCommerce Application as well as benchmarking documentation. TSG completes an anonymous process of opening a new merchant account to obtain the ability to accept cards online. This process measures and benchmarks the experience from the merchant’s point of view and is compared against the top providers. TSG tracks and benchmarks access, documentation, ease of integration, test merchant account setup, certification, trouble shooting, and production launch. Companies and/or products considered for any TSG awards may or may not include clients of TSG and does not necessarily represent all companies or products in the market. This analysis is based upon information we consider reliable, but its accuracy and completeness cannot be guaranteed. Information provided is not all inclusive. All information listed is as available.